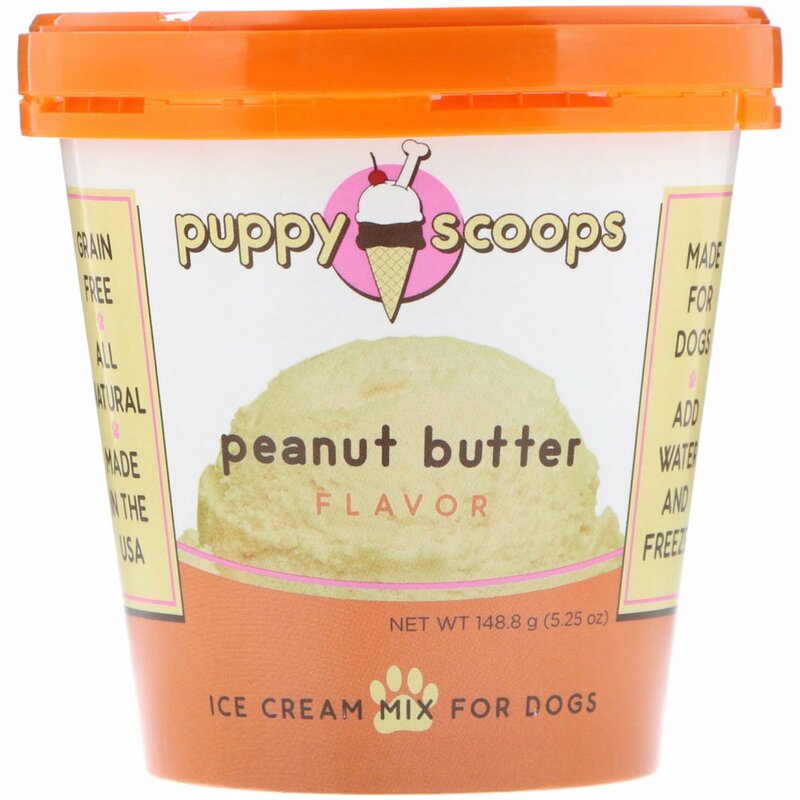 Share the joy of one of your favorite desserts with Puppy Scoops Ice Cream Mix! Just add water and freeze to make creamy, peanut butter ice cream specially for your dog! 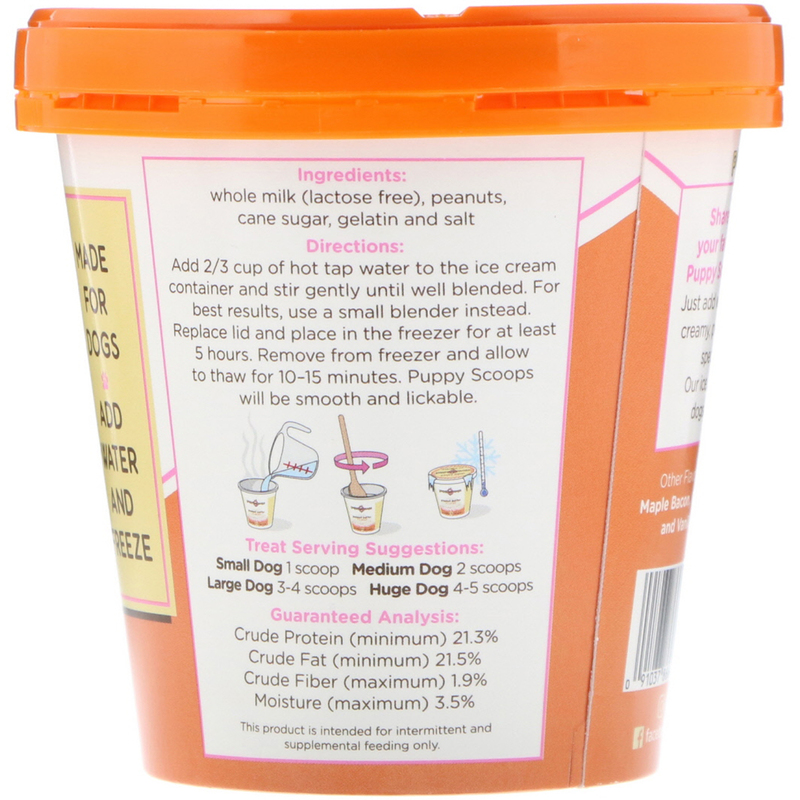 Our ice cream is designed for dogs and is lactose free. Add 2/3 cup of hot tap water to the ice cream container and stir gently until well blended. For best results, use a small blender instead. Replace lid and place in the freezer for at least 5 hours. Remove from freezer and allow to thaw for 10-15 minutes. Puppy Scoops will be smooth and lickable. Whole milk (lactose free), peanuts, cane sugar, gelatin and salt. 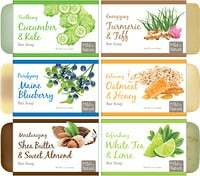 This product is intended for intermittent and supplemental feeding only.